Why do you need Developer Access to my Amazon Account? Your Amazon data is not shared by Amazon unless you decide to share it. Any Amazon seller can give access for third party developers (like us) to access reports and information from their seller account through Amazon’s API – their system for automated access. Such automated access can make it possible to get far more detailed information than what Amazon provides through your Seller Central account. For us to get this information to you, you need to give us developer access as part of the sign-up process. Why do you need User Permissions For My Amazon Seller Account? The Developer access you gave us provides access to most of the information we make available to you through ManageByStats. There is one report that we cannot get this way on a daily basis – Amazon’s API doesn’t have an option for generating it daily through the API. We therefore also ask for limited user permissions, so we can trigger this report to be generated daily. This is the Payments Date Range Report, and allows us to display accurate financial information to you on a daily basis. We access your Seller account daily and copy the transactions and the payment information through several reports, and then combine this data to show the information in reports that are searchable and far more useful than the reports you can get in Seller Central. Your information is stored in a separate database for just your data, on secure servers – we never mix information from two sellers into the same database. Your information is used solely for displaying it back to you in ManageByStats, and is not viewed or shared with anyone else. Do you make any changes to my Amazon Seller Account? We make no changes to your Amazon Seller account. The only things we do with your account are 1) generating reports and 2) importing them into the dedicated database we created specifically for your account. 1. Maximum Order Quantity: you can set this in MBS and it will update your max order quantity for each listing you set this for. 2. Bid Adjustments: we give you the ability to make bid adjustments in our Advertising Manager. How exactly are the Statistics on ManageByStats counted? The Quantity Ordered stat shows how many units have been ordered – even if they are pending orders, and even if they have not been paid for. As best we can tell, Amazon doesn’t collect the payment until they ship the item, and this can sometimes take a day or two – or more. The Quantity Paid For stat shows how many units have been paid for – even if they were ordered earlier, and were just shipped and paid for now. Amazon provides financial information on each order after it has been shipped and paid for, so this provides actual useable detailed financial information and does not count pending orders (which may or may not end up being shipped and paid for). The Product Sales Revenue stat shows the revenue generated by the units shipped and paid for – the ones counted in Quantity Paid For. Amazon counts the full revenue (before any discounts), so this is what this stat shows. If you sell 3 units that cost $100 each, this stat will show $300 even if you give a 50% discount and only $150 is collected from the customer. The Net Revenue stat shows the corrected revenue after removing discounts. If you have many discount sales, the Net Revenue stat is a much better and more accurate stat for seeing real revenue. The Amazon Payout stat shows the exact amount Amazon will pay out to you for these sales. So this is what is left for you after discounts and various Amazon fees have been taken out. The Cost of Goods Sold stat shows your cost of good for the products sold, using the cost information you assigned to this product in the Settings / Products page. We count the cost on units sold. We do not subtract the cost of units refunded – as often refunded units cannot be resold. The Quantity of Refunds stat simply shows the number of units refunded. The BuyBox% stat shows the percentage of shopper sessions where your listing had the Buy Box. Amazon refers to this as the Buy Box Percentage. The Conversion Rate stat shows what Amazon refers to as the Unit Session Percentage. It is essentially how many units were sold, divided by the number of shopper sessions viewing your product listing. If your conversion rate is 20%, then you sold 20 units for every 100 shoppers viewing your listing. The Sales Rank stat shows your products’ Amazon Best Sellers Rank average for the time period shown. Sales Rank can vary by the hour at times, so this is the average Sales Rank for the time period you are viewing, for the product, product line or brand you are viewing. The Sessions stat shows number of visits to your Amazon.com pages by a user. All activity within a 24-hour period is considered a session. The Number Of Customer Reviews stat shows the total number of customer reviews. The Average Customer Review stat shows the average customer review score for a product. If I sell outside of the USA, can I still use ManageByStats? Yes, we support all Amazon Marketplaces, and you can log into your account from anywhere in the world. What if I have multiple seller accounts? No problem. Our STARTER plan provides you with the ability to connect 2 Seller Central accounts. If you have more Seller Central accounts, you can easily add however many you need for an additional cost of $10/mo for each additional account added. Can I give access to one of my staff members? Yes, you can allow access for additional users to your account, and select which brands and which pages/features you'd like them to be able to view. How much does ManageByStats cost? Our STARTER plan is $59.97/mo. We have tiered plans that include more features and additional volumes of usage. Yes, you can cancel at anytime. Simply go to the Settings page, click on the Payment tab, and click the "Cancel Subscription" button. How can I check out ManageByStats? Simply click the button below to start a free 14-day trial, with no credit card required, and no contracts. We’ve got a full-featured program, and we’re routinely adding new solutions and making improvements, responding to feedback and helping Amazon sellers all over the world get the absolute most from their business. 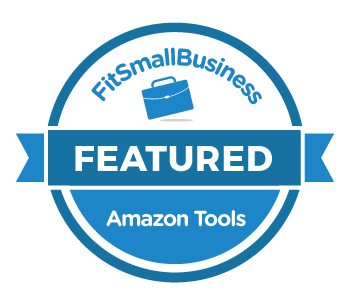 MBS is a full-featured suite of software tools to grow your Amazon sales and profits. We’re regularly upgrading and adding new features, responding to feedback, and helping Amazon sellers around the world get the absolute most from their businesses. In the five years since our inception ManageByStats has grown to thousands and thousands of users around the world and dozens of team members. We’re global. Our HQ is in sunny Florida, but we have offices on both coasts of the US and in Europe.